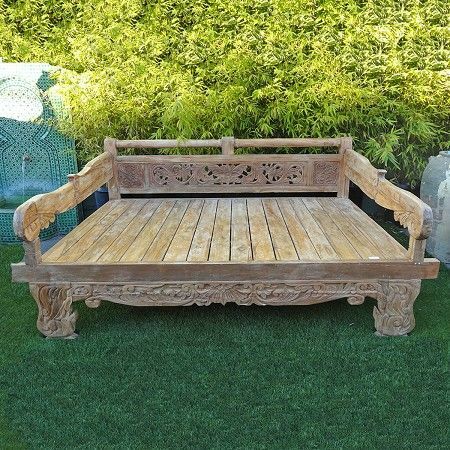 Rustic reclaimed teak wood daybed with intricate floral carving on back. Equip with roll bar. Left unfinished. Perfect for outdoors, custom cushions available.